Warning – This post involves too many self-help exercise, thinking and travelling into past and future! It’s important to move on, of course you can’t remain at the same place forever. But is it important to hate in order to move on? I’ve seen so many girls throw away the greeting cards, teddy bears, and anything associated with their ex-boyfriends, just so they could move on. I’ve heard so many rants from the girls about the guys just after the breakup. The guys who were their sweethearts when they were in relationship. People change once their relationship changes, but how important is it to hate in order to move on? Think about your love-life. You’ve been together since what time? A year, two years at most? Or maybe five or even ten years? How old are you? In your teenage, or nearly around early twenties? How long have you been with your parents and family? Since the moment you were born, right? Then why do you need to even think about dying when you always have the people who unconditionally love you? Why do you need to cut yourself, when there are people who can’t even tolerate a tear in your eye let alone a gush of blood? Why do you need to do any such stupid thing in order to make yourself feel that you’re reducing the pain? There are always ways to move on, and one of them is ‘Hating’ someone you ‘Loved’. Sounds so ironical, isn’t it? But it’s the truth, people adopt this method as it’s the easiest one, but how effective it really is? Let’s walk down the lane by a decade or two. Where do you see yourself after 20 years? Close your eyes and imagine, and be honest on what you really want with your life, before reading ahead. Now recollect what you saw. Did you see your ex with you after that much of time? If yes, then there is no need of hating him now. Did you see someone else with you? If so, then what’s the use of hating someone who’s not going to be a part of your life in future? In both the cases, there is never going to be any reason valid enough for your hatred for someone. It’s never going to help you. It will only fill you with negativity inside. Learn to forgive, and it’s easier said than done. 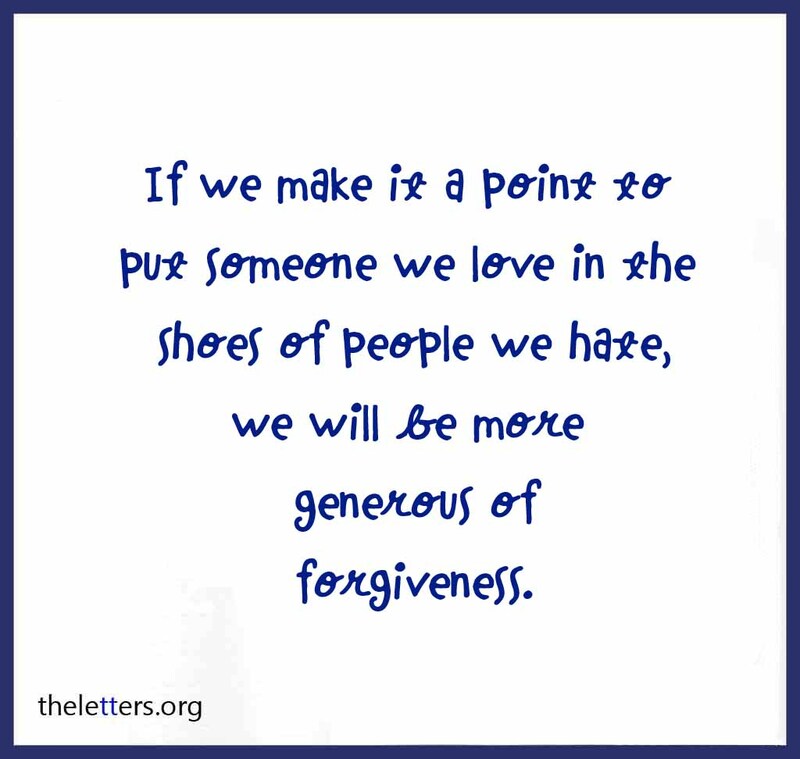 Forgiveness is something that only mature people can do, while hatred is something that only stupids adopt. Hatred will do nothing, but remind you of the past and the pain associated with it, again and again, while forgiveness while make you move on from that phase and take you towards brighter side of life. Breakup doesn’t mean the end of the world. Life goes on, and so does time. Some people ask their broken friends to date another girl/guy, and in return, he/she will help them move on. They term it as their expert advice. Really? Now, imagine you love someone very much, but he has someone else in his heart and can’t let go of her. Won’t it kill you everyday to see him cry for someone else daily? Won’t you hate yourself for loving him so much? Of course you will. Same will be the case with the new guy you’re about to date in order to overcome the pain of your past. He will not only hate himself, but even your new relationship won’t ever flourish, because a person comes into relationship for ‘his-happiness’ and not for curing someone else’s pain. The main motive of everyone’s relationship is ‘happiness’, you like spending time with him, and you like hanging out with him. But if he keeps on talking about his past, and cries every minute, you’ll breakup for sure! Even your new relationship won’t work, believe me on this. So, never even think of entering into a new relationship till you’ve overcome from your previous one, completely. And I mean it here. Talking about moving on. Hatred is never a solution, you know why? Because it’s never going to satisfy you inside. You will curse or abuse that person forever and you won’t get enough of it. You will see him happy with someone else, you will curse him more. What are you getting out of it? Nothing, but just negativity and jealousy. You are frowning and cribbing inside, just because he’s moving on and you’re not. And if you keep on ranting like this, you won’t ever move on, I swear! It’s important to forgive someone, not for him, but for yourself, your own inner peace. It’s important that you remain calm and happy and to achieve that, you first need to spread some tranquility in your mind and heart and it’s possible only if you forgive him and move on. Abusing your dates, the time you spent with him, isn’t going to help. Imagine yourself when you saw him after a week or month, or when he planned a surprise for you, or imagine your birthday, the gifts you got. They’re all happy memories associated with your life, and they’re a part of your life now. They can’t be erased, no matter how hard you try. Then why not simply accept them, and thank him for the good times you guys shared? Be happy in his happiness, for true love has no expectations, only sacrifices. If you loved him ever, even for one second in your entire relationship, let him go happily. Don’t cry, crib or frown, don’t hate him, bid him a happy farewell, wish him all the best for his future, be mature, be sensible. You can’t force someone to stay with you. If it’s his choice to be with someone else after he broke up with you, let it be. Respect him for he didn’t cheat on you or dual-date you with another girl. Respect him for his faithfulness and loyalty towards you during the time you were together. If he cheated on you, still forgive him for hating him won’t make you feel any better, and neither will it make him ‘loyal’. Quite admirable and applaudable post mam… This is really a very beautiful post i have ever read… Every word you have written here truly worth of praise. The way you have describe things happened after breakup. I wish u always keep writing…. A really needed advice for the guys/girls who have broken up with their partners recently. In these days, where relationships have became like playing a game, in a time where it’s become harder to sustain a marriage life even, where guys/girls who are in a relationship are full of doubts, egoistic, materialistic towards their partner, and because of this they end up breaking with each other. And instead of giving a happy farewell they just end up with all the negative thoughts in their mind for them, and they start treating them as enemy. As you have said that we should rejoice n be happy for the time spent together, but instead of that they try all the means to destroy his/her life. After breaking up they just try to find faults in his/her ex and simply abuse his/her ex. But they don’t have the idea that they are not just abusing his/her ex, but also own self, the time spent together during the relationship, the happiness shared by them during their relationship, they just end up abusing each and every fraction of moment spent together & thinking of each other. Hatred is absolutely not the solution for moving on. Hatred is a negative feeling and it doesn’t leave us anywhere but ending up by messing up with our own life. While Forgiving is the best solution for moving on. Forgiving someone shows that how matured you are and how wise you are. The point which you have raised about suicide is applaud able as suicide is the first thing that come up to their mind by not worring about their family & friends. Very wise words too make them realize the worth of their family and their own self. You was just outstanding when you was awaking the imagination power of the people who just had break up in their relationship by your question. Love isn’t about asking, but it’s always about giving unconditionally without any intention for getting back. Thanks a lot Archana 🙂 Stay blessed! Sure Miss Bassi, i would try my best to stay connect with you and would appreciate all your work if i am agreed with your views/thoughts. Be happy in his happiness, for true love has no expectations, only sacrifices. If you loved him ever, even for one second in your entire relationship, let him go happily. Don’t cry, crib or frown, don’t hate him, bid him a happy farewell, wish him all the best for his future, be mature, be sensible. You can’t force someone to stay with you. If it’s his choice to be with someone else after he broke up with you, let it be. Respect him for he didn’t cheat on you or dual-date you with another girl. Respect him for his faithfulness and loyalty towards you during the time you were together. If he cheated on you, still forgive him for hating him won’t make you feel any better, and neither will it make him ‘loyal’. mention not….. apart from these issues, also try on honour killings. it is an intense matter and also a good topic to write. Thanks a ton… Felt so nice after Reading. this…. Absolutely Forgiveness is only practice by strong people. Life goes on. You yourself have to decorate it upto your level. Nice article. But is it so easy to let someone go easily? I feel the person should be able to at least express his emotions that are boiling up inside, be it crying or sharing with some close friend. Letting your emotions out is one thing, and planning a revenge is another. My article is majorly about the people who are not able to move on because of all the hatred boiling inside of them, and they move to negative side. It’s not easy to let someone go that easily, but one can always try because what other option you have apart from moving on?